Acute Fatty Liver of Pregnancy (AFLP) is a relatively rare disorder that happens only during human pregnancy. It affects an estimated one in 10,000 to 20,000 pregnancies every year (≈.25-.5% of all pregnancies in the US). For reasons not yet known, ALFP affects twin pregnancies more often than a single pregnancy, and male fetuses more often than female. Despite its name, AFLP is not really acute or limited to affecting only the liver, but may affect other organs. It is usually diagnosed late in pregnancy before delivery, but can also occur right after delivery. 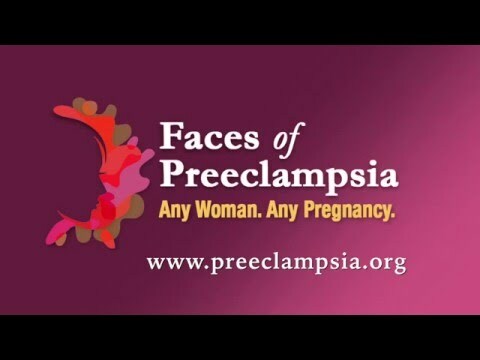 Nearly half of AFLP cases present in a way that can be confused with preeclampsia and HELLP syndrome. AFLP develops in mothers who themselves – or the fetus/fetuses they are carrying – have a genetic disorder that leads to defective mitochondrial beta-oxidation of fatty acids. That is the scientific way of saying that the cell’s powerhouse, the mitochondria, are not breaking down fatty acids into smaller molecules that help the body process proteins, carbohydrates and lipids (fat). This genetic issue causes fat to accumulate in liver cells and possibly in the kidney, placenta, and other sites. The G1528C genetic mutation represents the most common maternal mutation that leads to AFLP, but other mutations can also interrupt or prevent normal cellular handling of fatty acids. These fatty acids then accumulate in tissues, clogging the mother’s liver and interfere with her normal liver function. The liver is especially important during pregnancy for the health of the mom and baby because a healthy liver removes toxins and other harmful substances from the body. The development of AFLP from normal to abnormal is usually subtle and slow – challenging the patient and her physician to recognize the presence of this rare disease. What are the signs and symptoms associated with AFLP? The development of epigastric pain (pain in the upper right area of the abdomen) can be similar to that seen in patients with HELLP syndrome. The progressive loss of normal liver function with increasing acid build-up can also lead to a change in the mother’s mental status and compromise her baby’s well-being. Tragically, symptoms are sometimes not recognized until after the baby develops signs of trouble or has passed away in utero. In some cases, the loss of normal protein production leads to dehydration and reduced blood volume manifested by rapid pulse in the mother. Because these symptoms are usually recognizable only when AFLP is advanced, a diagnosis is often made late in a patient’s case or even after delivery. Because the disease is rare and difficult to diagnose, the Ob-Gyn usually makes an AFLP diagnosis in the clinic or hospital setting based on how the patient’s symptoms present and a combination of laboratory tests. Sometimes, providers discover AFLP around the time of an emergency cesarean section caused by fetal heart rate abnormalities measured in the baby. Standard laboratory testing will look for a combination of abnormal clotting problems, signs of liver issues, increase serum ammonia, very low blood sugar, high serum, uric acid, and evidence of kidney damage. Nearly half of patients with AFLP appear to have preeclampsia, until laboratory evaluation reveals the further diagnosis of AFLP. As with preeclampsia and HELLP syndrome, AFLP may present in a variety of ways depending on the individual patient, which may increase the difficulty of diagnosis. How is AFLP different from HELLP syndrome? AFLP is distinguished from HELLP syndrome and other forms of preeclampsia by differences in how the two diseases develop. Although the symptoms can be similar, their differences can be measured through the patient’s blood work and changes in their lab values. The primary difference between the two diseases can be seen in the measure of the patient’s ability to clot and their platelet levels. AFLP typically causes more abnormal clotting issues. HELLP syndrome patients tend to have a more progressive decrease in their platelet count, which can be measured over time. What is the recommended treatment of AFLP? A mother with AFLP is essentially a mother experiencing some degree of liver injury and failure. Prompt delivery of the baby, often by cesarean section, is recommended after the mother is appropriately evaluated and stabilized. Removal of the placenta from the mother’s body begins her recovery from the disease. Referral to a higher level of maternity care may be indicated before or soon after delivery because recovery can require several days to weeks. During that time, multiple complications can develop that are best managed in a high-level hospital with multidisciplinary intensive care, access to transfusion products, and around-the-clock medical specialists who can render care to complicated patients. What are the risk factors of AFLP? If undiagnosed or diagnosis is delayed, the mother can become very ill with multi-organ injury involving liver and kidney failure, lung compromise, and difficult-to-manage bleeding requiring multiple transfusions. Prolonged maternal acidosis can comprise fetal acid-base balance if undetected. In part because of its rarity and it can mimic HELLP syndrome, patients with AFLP can challenge the best providers to make a timely diagnosis. Even with the best of care, managing all the resulting complications also usually requires experienced intensive care. Plasma exchange may be used to facilitate care, speed normalization of blood product administration, and achieve a normal fluid and electrolyte balance. Rarely, liver transplant is necessary to treat very severe cases. Today the risk of maternal death is approximately five percent, much lower than several decades ago. It can be greatly decreased by appropriate diagnosis and recognition of symptoms. Laboratory values on liver function usually become normal within seven to ten days after delivery but may take longer. Is there danger to the newborn in the mother with AFLP? AFLP can have an effect on the baby if the disease is particularly severe or if diagnosis and delivery are delayed. The effects on the baby may be worse if the baby is the carrier of the genetic defect instead of the mother. Stillbirth may happen in up to 10 percent of the cases, or about 100-120 per 1000 births. Some babies are at risk of developing life threatening nonketotic hypoglycemia, an inherited condition in which the body is unable to breakdown and process some of the building blocks of protein (amino acids). The nonketotic hypoglycemia can imitate Reye’s syndrome (a rare but serious condition in infant and children that causes swelling in the brain and liver) or defects in the baby’s urea cycle. Other babies may experience a dilated cardiomyopathy (swelling in the chamber of the heart) or progressive neuropathy (a problem with the nerves that continues to get worse). The variant of AFLP impacts the outcome for the baby, so all mothers and newborns from an AFLP pregnancy should be tested for long-chain, medium-chain and short-chain abnormalities involved in the mitochondrial beta-oxidation of fatty acids. What are my risks for AFLP recurrence after a prior affected pregnancy? The exact risk of recurrence is unknown. It probably depends on whether the mother or baby from the prior pregnancy had an identified genetic abnormality. AFLP can recur even if all the diagnostic tests to uncover an abnormality of beta-oxidation of fatty acids are negative. Thus, a maternal-fetal medicine subspecialist should oversee pregnancy care with patients who have a history of AFLP. The patient should also be made aware of her risk and that the disease may happen again, so she can appropriately work with her provider to monitor her symptoms and care. For a more in-depth scientific understanding of AFLP, go here.